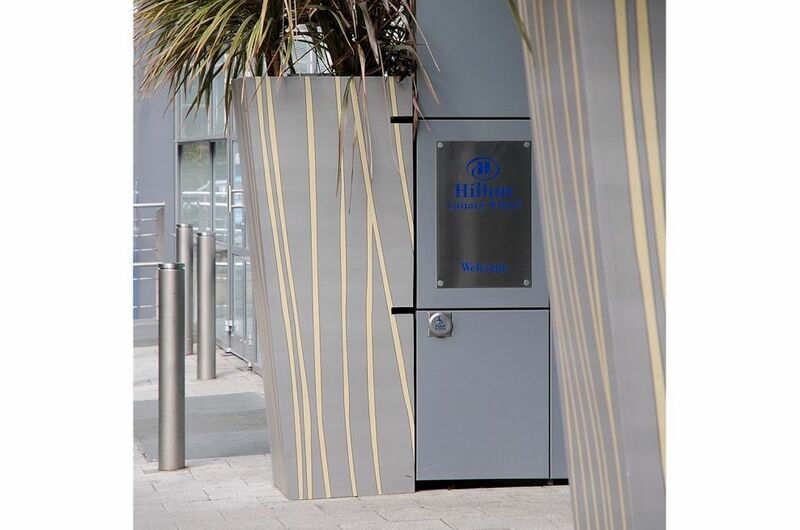 Large bespoke steel planters were commissioned by designers Lavender & Stone for the recently completed Hilton Hotel in Canary Wharf. 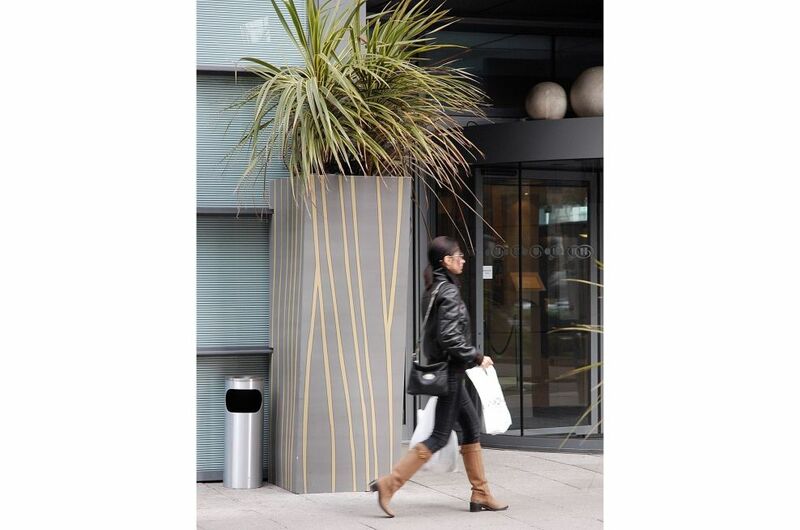 The designers’ brief was to supply high quality bespoke planters of a style appropriate to the contemporary frontage of the hotel, and of a scale in keeping with the surrounding buildings. 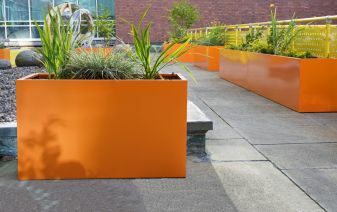 The steel planters were constructed from 1.5mm thick galvanized sheet, and powder coated in Titanium Metallic Silver. 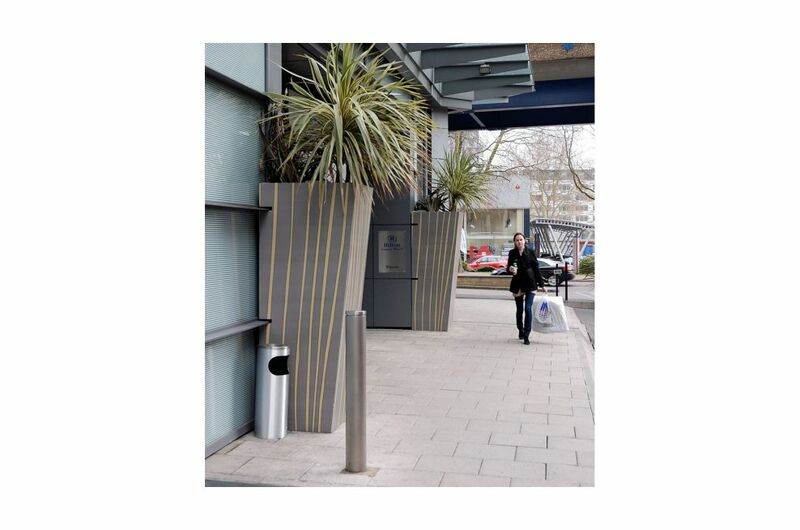 The vertical stripe design was added later as an individual touch, accentuating the size of the planters and helping to punctuate the expanse of fascia. 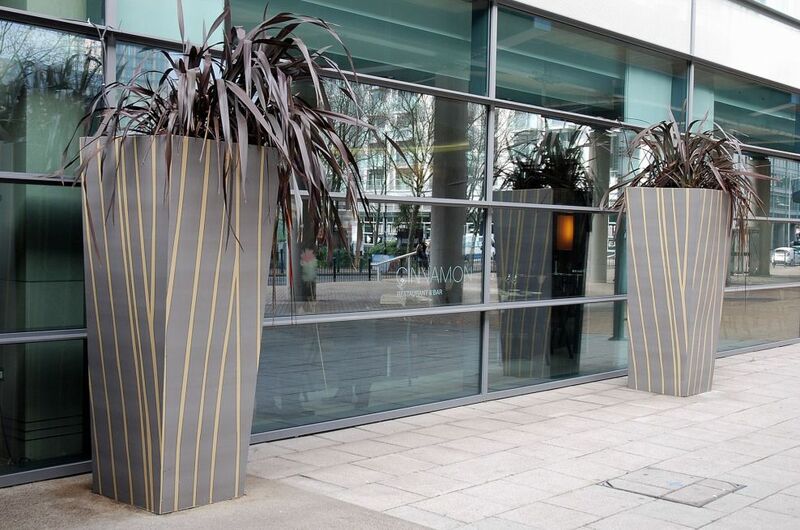 Six planters were made, placed at the entrance to the bar and the main hotel entrance, each 2000mm in height and 800mm wide at the top. 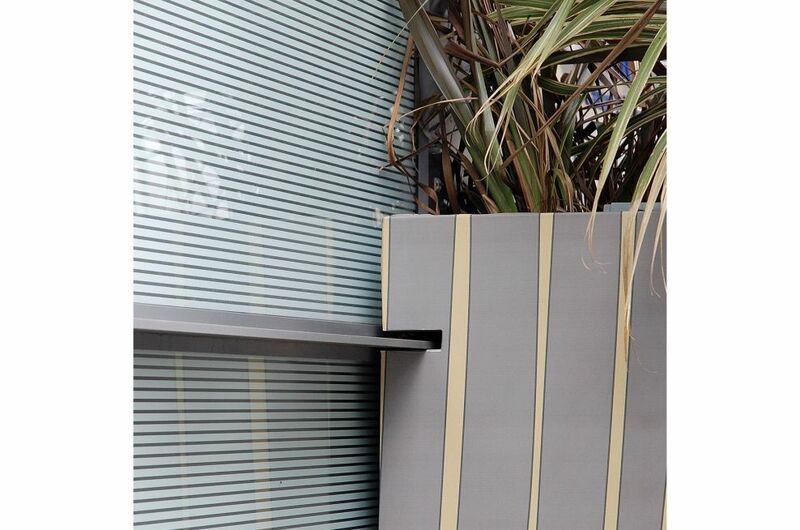 Two of the planters had to be very precisely customised to fit either side of the main entrance, with slots in the back to fit around vertical bars in the glazed frontage. They were irregular tapers, with one flat side, and bases angled to accommodate the fall of the pavement.